A select number of private property owners allow wedding & other events to be held within their properties, each has their individual requirements based on the size and nature of your request and the capacity of the property. While there are benefits to hosting your event within a private home, we want you to fully understand the logistics and factors. If your celebration does not exceed the number of guests booked and staying at the property, you are welcome to make your own arrangements as long as all details of any outside services that will be accessing the property have been communicated to our staff and all relevant insurances have been supplied. An event constitutes inviting more guests on to the property than the guests that are booked and staying at the property and/or exceeding the maximum number of guests that are allowed for a self managed celebration. All of our events are coordinated exclusively through our partner company, Hunter Concierge who are responsible for managing all aspects of weddings/events at our properties. Their services include Catering, Marquees, Decorations, Transfers, Port-a-loos, Generators, Security, Portable cool room hire, Guest transfers, Garbage removal, Excess cleaning. In order to host your wedding at our properties must be booked for the maximum guest capacity as well as a venue fee paid. All other event requirements and suppliers are to be coordinated by Hunter Concierge. Final event approval is at the discretion of the owner of the property. The following properties are suitable for events. Marquees are available in a variety and size, style and design along with furniture and lighting options and are subject to quotes for the most suitable one for your guest numbers and location. A bond amount will be taken for each event. Enzo Wedding's will manage all events onsite for 80 - 200 guests. Degen Estate will allow self managed events for up to 20 guests only. Dependent on guest numbers and the nature of your event you will be required to have a supervisor or security at your event. This is charged an hourly rate dependent of requirement. All of our properties do not have parking facilities for large groups; therefore Hunter Concierge will provide transfers including private cars through to coaches, between the event and your accommodation. Allow Hunter Concierge to provide you with the perfect catering for your event. From a casual buffet or BBQ’s to elegant cocktail party or formal sit down extravaganza – Hunter Concierge will to your taste and style. Drinks packages are available along with BYO options. 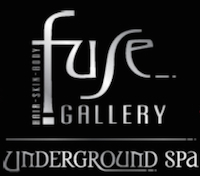 fuse Gallery understands that hair and make-up is one of the most important ingrdients in a memorable wedding day. Our experienced stylists can ensure that all of your hair and make-up needs can be catered for in the one ultra-modern salon. 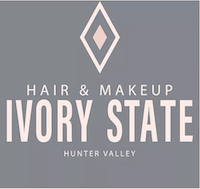 Ivory State Hair and Makeup is an exclusive hair and makeup team based in the Hunter Valley and are available NSW wide. They are bridal specialists and cover all special events. Effortlessly mobile, they come on location to you and by appointment only. 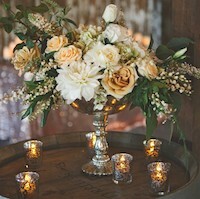 WOW Flowers, creates unique and stunning designs created for individuals using fresh quality flowers. From traditional bouquets to the most adventurous arrangements. WOW Flowers specalise in weddings, special events and functions.